Holly Grant, 39, of Palermo, was arrested Thursday. A 39-year-old Palermo woman was arraigned in a Massachusetts court Friday on drug trafficking and motor vehicle charges following a traffic stop Thursday morning on Interstate 495 in Bolton, Massachusetts. Holly Grant, 39, is charged with trafficking more than 200 grams of heroin, distributing a Class A drug, operating without a license and speeding, according to a clerk in Clinton District Court in Clinton, Massachusetts. Grant was ordered held on $50,000 cash bail. Her next hearing is set for Nov. 24. According to information from the Massachusetts State Police, Trooper Philip McLaine of the Leominster barracks was patrolling in Bolton when he saw a silver Nissan traveling north at a high rate of speed. 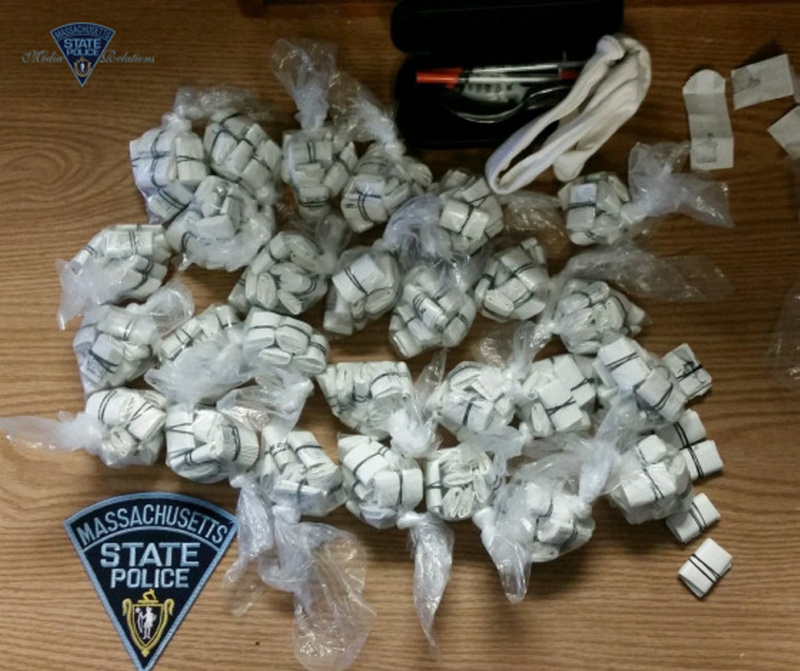 He stopped the vehicle, identified Grant as the driver, and searched the vehicle, reportedly turning up 300 bundles of what police believed to be heroin, according to the news release. Trooper Matthew Baird of the State Police K-9 Unit and Trooper Eric Grace assisted in the investigation.